Jet fuel has traditionally been the airlines' second-highest operating expense, exceeded only by labor. As a result of recent oil price hikes, jet fuel is the largest single expense at many airlines. Fuel consortiums, which typically control and operate the distribution system providing the jet fuel at the airport, operate at most major U.S. airports. Although the fuel consortiums do not buy, sell, or own any jet fuel, they assist their member airlines in controlling the cost of delivering the fuel to their member airlines' aircraft. In a highly competitive business, the fuel consortiums stand out as an example of cooperation among the consortium member airlines. 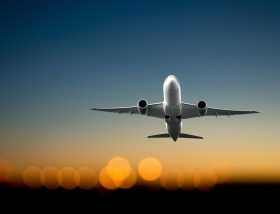 The airline members of the fuel consortium work together and pool resources to operate the jet fuel distribution system in a cost-effective manner. The fuel consortium may be a legal entity, such as a corporation or limited liability company, or it may merely be a committee comprised of the member airlines. The chair of the fuel consortium is typically an employee of the airline with the greatest jet fuel use at the airport. The chair works closely with the operator to ensure that the distribution system is operated safely and efficiently. The fuel consortium allows the airlines to assure safe, timely and adequate delivery of their member airlines' jet fuel. Quarles & Brady is one of very few elite law firms in the country that provide services in this legal arena. Our attorneys represent the fuel consortium entities at more than a dozen major U.S. airports, and we have over 20 years of experience in the field. We have formed a special client service team to serve our fuel consortium clients. 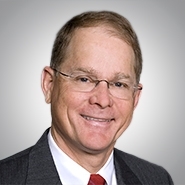 That team is headed by Daniel L. Muchow, resident in our Phoenix office; he is listed in The Best Lawyers in America, selected for inclusion in Southwest Super Lawyers, and listed in Chambers USA.